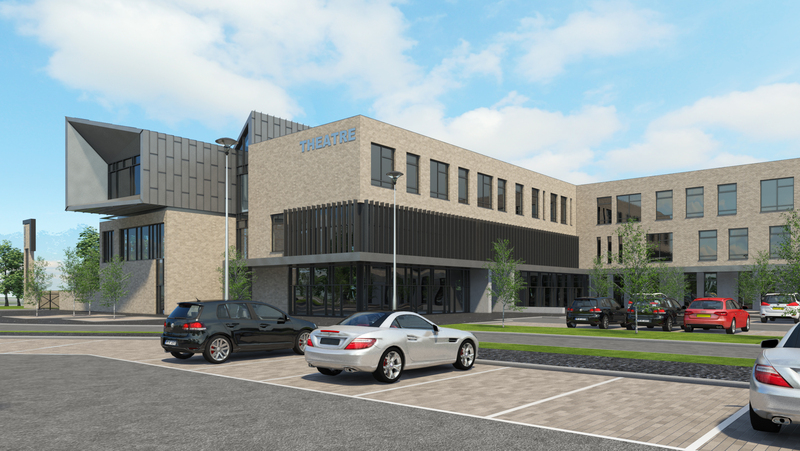 An agreement to build a new £34.5m Cumbernauld Community Campus which will bring together a purpose-built high school and a new theatre and arts venue was reached on Thursday 29th June. The Community Campus, to be built on the site of the existing Cumbernauld High School, will be home to a purpose-built secondary education facility accommodating 950 students following the amalgamation during the 2014/15 school session of Cumbernauld and Abronhill High Schools. Read more: Cumbernauld to get underway! hub South West has announced the start of work on a new all-weather sports pitch and running track at Kilwinning Academy. Building for Growth Spring 2017 concludes! hub South West's sixth building for growth programme concluded this month with an awards presentation at 29 Private Members Club in Glasgow. Read more: Building for Growth Spring 2017 concludes! Groundbreaking Ceremony at 'The Bridge'! Work is underway on the third of the Dumfries Learning Town projects with first sod cut at an event on Monday 3rd April. Read more: Groundbreaking Ceremony at 'The Bridge'! The Quay Zone hands over ahead of schedule! First Generation of pupils move into the new Dailly Primary School!